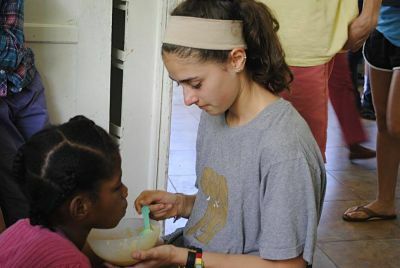 "My time in Jamaica has truly changed my life. At times I questioned my faith, ability to reach out, form new relationships/ friendships and embark on a journey far from my luxuries at home. This trip exposed and solidified in me all of those aspects and more. I will forever remember how the presence of God, the children, caregivers, mission volunteers and leaders have impacted my life in a positive way and will continue to in college and beyond. The Jamaica Mission Trip of 2017 will forever hold a special place in my heart and in who I am."